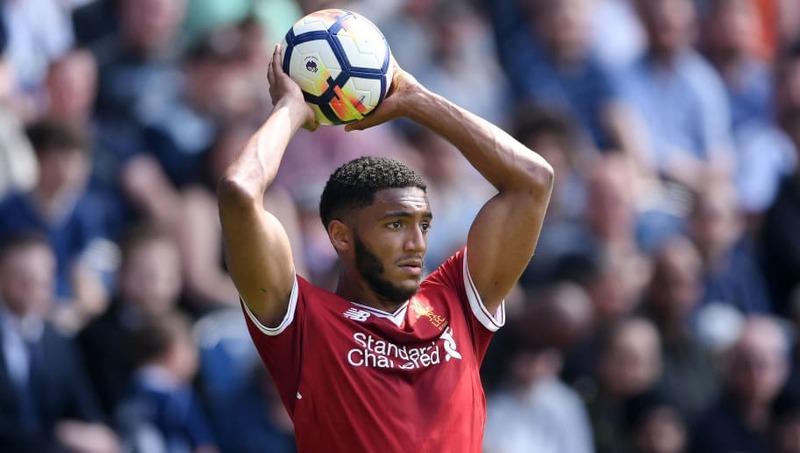 ​Liverpool defender Joe Gomez has been ruled out of the Champions League final later this month after having ankle surgery. Gomez, who has shared the right back spot with fellow youngster Trent Alexander-Arnold this season, may also be unavailable for the World Cup later this summer after failing to fully recover from an ankle problem picked up on international duty with England. According to ​the​ Telegraph, the 20-year-old aggravated the injury during matches against West Brom and Stoke, coming in for heavy criticism during those matches for below par performances. Alexander-Arnold now looks set to start the in Champions League final, while Nathaniel Clyne could feature at the weekend in the Premier League against Brighton after recovering from a severe back problem. Liverpool have been hit with plenty of injury problems recently, with midfielder Alex Oxlade-Chamberlain set to miss the World Cup with a serious knee injury, while Adam Lallana's 2017/18 campaign has been disrupted and he won't be match fit until pre-season in the summer. Central defender Joel Matip has missed recent games after thigh surgery, but German midfielder Emre Can is hopeful of making a return from a back problem in the near future. Gomez has made 31 appearances in all competitions for Liverpool this season, including six games during the Reds' run to the Champions League final, and received his first England call-up in November last year. Liverpool will finish in the Premier League's top four if they beat ​Brighton on Sunday, and will be targeting a first major trophy since 2012 when they play ​Real Madrid in the Champions Final on 26 May.